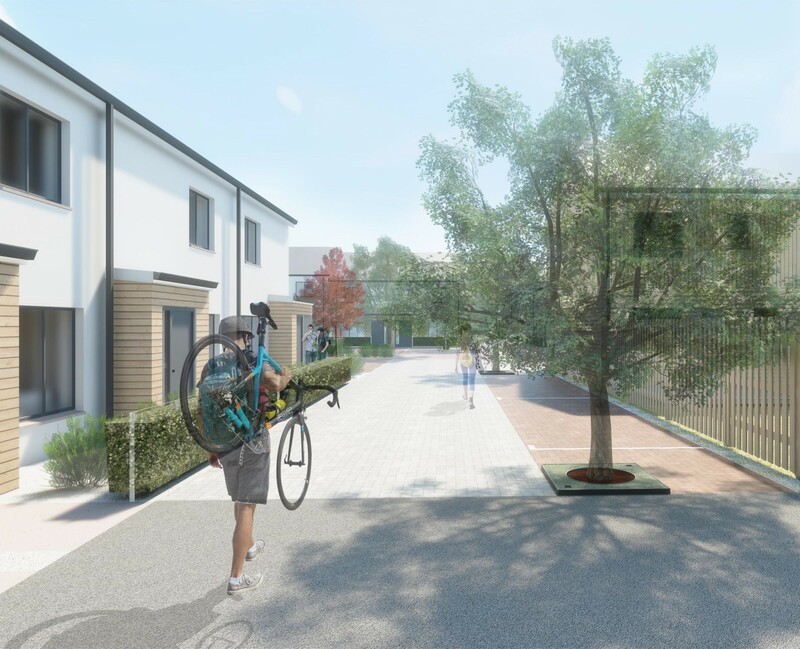 Halliday Fraser Munro have put forward revised designs on behalf of Caledonia Housing Association and Robertson Partnership Homes for land off Slackbuie Farm Road, Inverness. The tweaked plans include 22 flats and two commercial units arranged around a series of enclosed public spaces defined as a square, arrival space and street end. 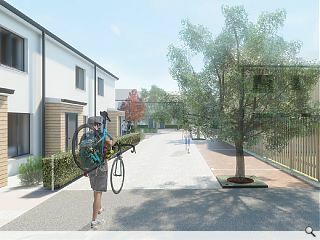 One of a number of recent residential builds as part of the neighbourhood centre of Slackbuie the project will include active frontages will be formed to the outward boundaries of the development. Outlining their approach the architects observed: “A selected use of timber effect weatherboard cladding, dry dash render and brick compliments the adjacent residential development and offers a durable and low maintenance solution for Caledonia Housing Association. Built across a steep 8m high embankment running the length of the northern site boundary the site will afford views across the city centre.